Welcome to Chill Zone Forum: Your safe and friendly chat forum. Chill Zone is a growing chat community designed to make your time on on the web whether it be in the chat room or here a pleasant and safe one. For all you budding poets out there including poets that wouldn't know it ;) and quotes appropriate to every day living. Tell us your life stories eg. how you first met, the best day of your life or the worst ect. Show off anything you have made on your computer here!!!!! Can be paint... video's the works! Create and participate in random forum games here. Warning: These are addictive! Have anything you'd like to debate on with others bring it up here! Something in life really annoying you! If its nothing to do with Chill Zone or the people on it vent your frustration here! Remember all chat rules however just for this thread only caps are allowed! Watched any really good movies lately? What is your all time favorite movie that you would never get sick of? Have an online crush but don't want that person to know its you that has a crush on them? Hit logout then post as 'Guest' to remain completely anonymous. Discuss anything about love & relationships here. Are you single? In a relationship? Do you need advice, or have any questions? Read how Chill Zone started out here. 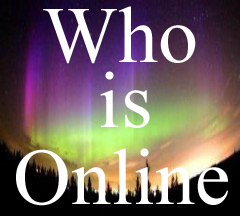 Have any idea's on what this entire website and or chat room/forum need's? Spill all your thoughts here. As many idea's as possible needed! You face public humiliation as well as your internet provider will be contacted should you choose to spam. You maybe punished by your internet server and the authorities as you would be in breech of your internet terms and conditions.